Companion product for the Large Square Squared. 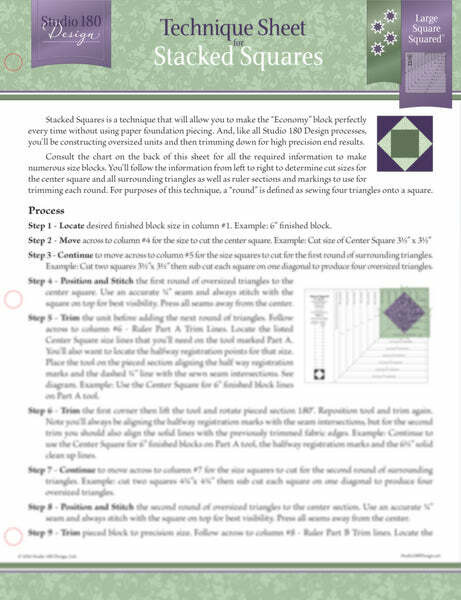 Stacked Squares is a technique that will allow you to make the "Economy" block perfectly every time without using paper foundation piecing. And, like all Studio 180 Design processes, you'll be constructing oversized units and then trimming down for high precision end results. Block and project suggestions included.